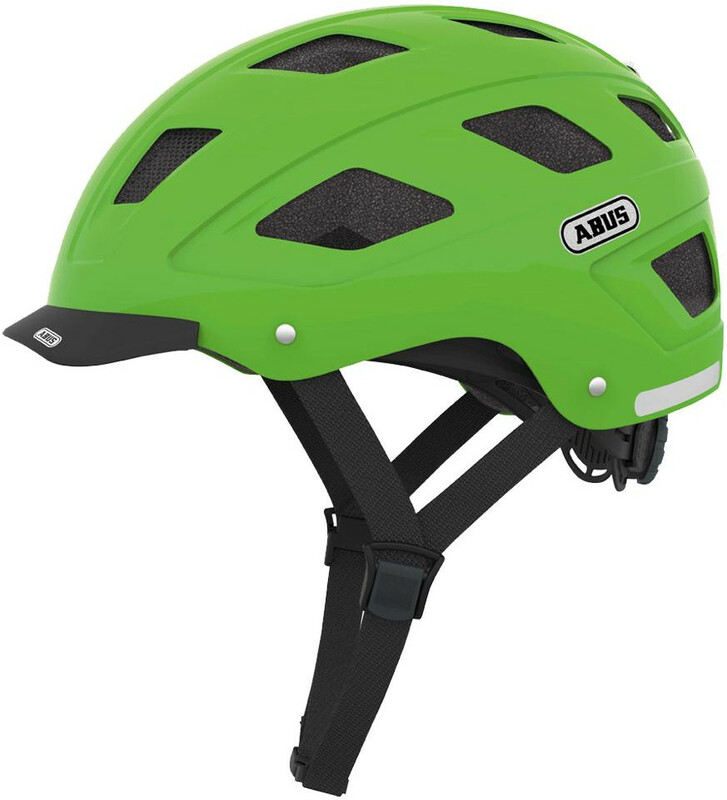 ABUS: The Hyban is the ideal helmet for commuters but also perfectly suited for MTB or BMX riders. 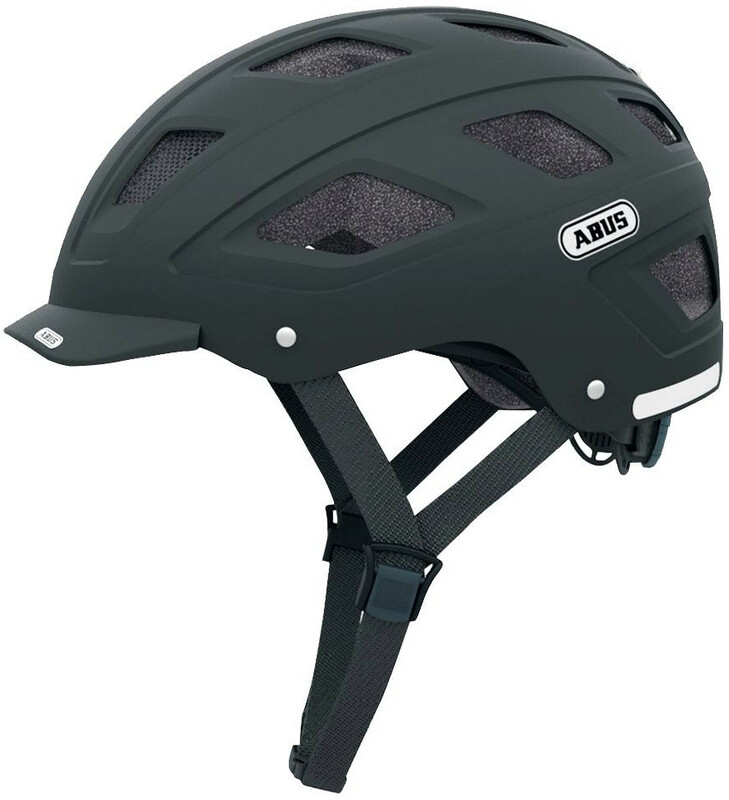 This stylish helmet features ABS hard cover technology and ZOOM precise adjustment featuring a retention system made of robust yet lightweight, flexible plastic for safety and a comfortable fit. The Hyban also features a large, integrated LED rear light with 180 degree visibility for increased rider safety. 13 air inlets and 5 outlets ensure optimal ventilation. The interior padding is removable and washable for maximum comfort and the soft-touch straps are easy to adjust. 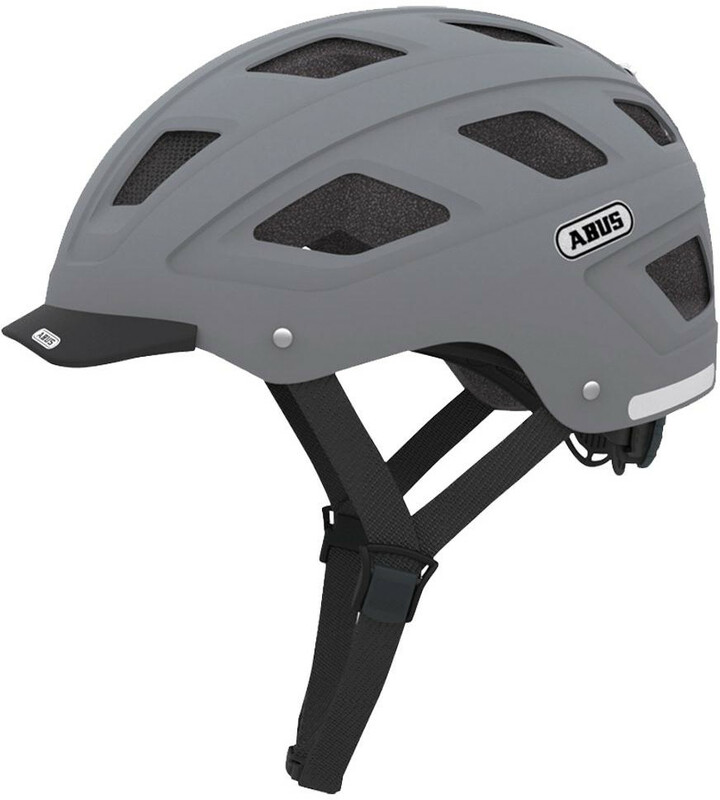 The visor clips on and off easily and quickly for rider preference. 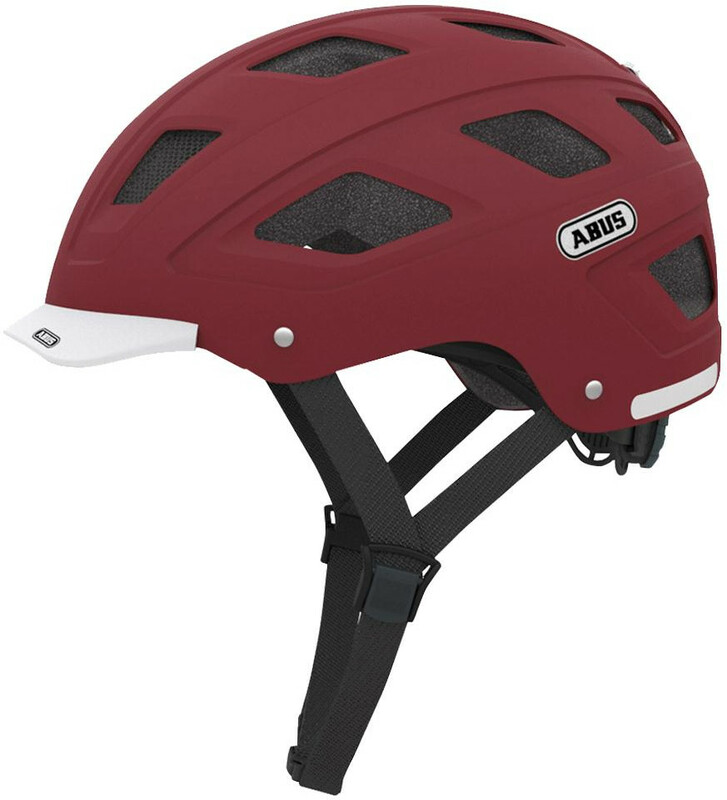 To celebrate the introduction of the NEW Bordo Centium lock ABUS created a special edition Hyban helmet using the best materials and a unique chrome finish. 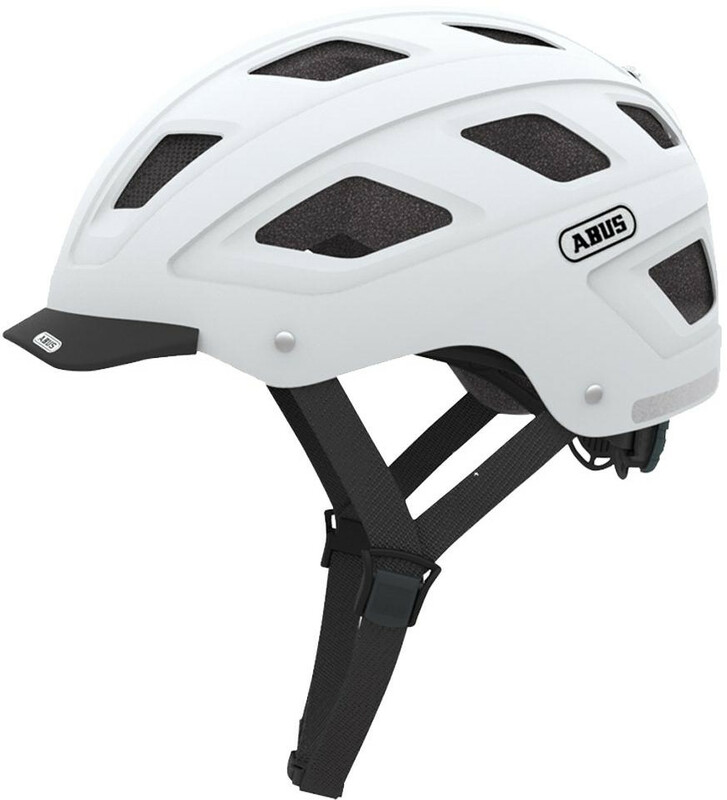 The Hyban Centium helmet features a leather peak and chin strap with the added convenience of the fidlock magnetic bracket, while the integrated rear light has a dark tinted cover.